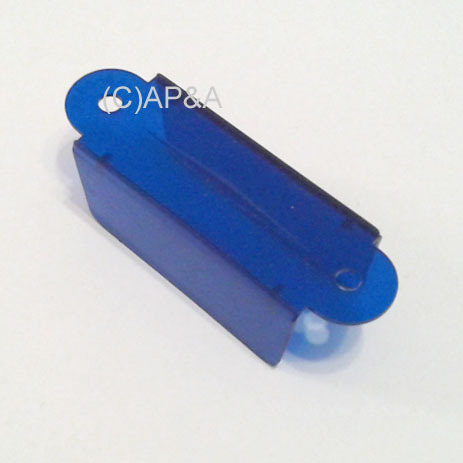 Blue transparent plastic lane guide, 2-sided. 2-3/4-inch overall length, 7/8-inch width, 2-1/8-inch spacing between screw holes, center-to-center. Smooth top w/ no design. Can be used on most makes and models that use this size guide.